The two most important aspects of a great waffle are crisp exterior and moist and fluffy interior. 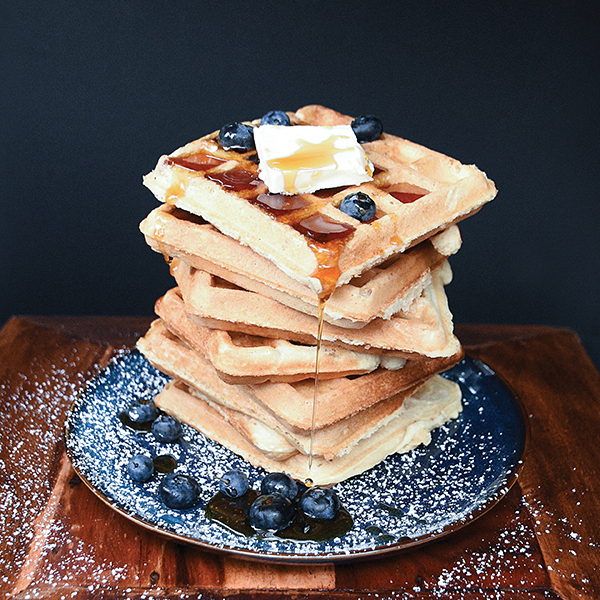 These vegan waffles deliver big. To make great make-ahead waffles, undercook them by about 1 minute and freeze. When you’re ready for them, just toast and enjoy. Serve with vegan butter, maple syrup, or preserves. Combine the milk, aquafaba, oil, and vanilla in a small bowl and mix well. Add the milk mixture to the flour mixture and whisk gently into a smooth batter. Set the batter aside to hydrate while the waffle iron heats up. Heat the waffle iron according to the manufacturer’s instructions, and add the required amount of batter to the hot iron (usually about 1 cup of batter). Cook until the desired doneness is reached and transfer the waffles to a wire rack. The waffles will become crisp in about 30 seconds. Serve hot. From Aquafaba, copyright © 2016 by Zsu Dever. Used by permission. So I made these waffles the second time this morning and my husband and I can not get enough of them! I use much less sugar and a little less fat but it works just as fine. Amazing recipe, thank you so much. 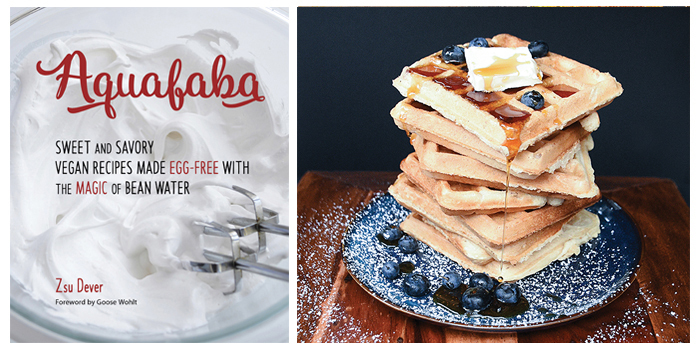 And I am always excited for ways to use aquafaba.